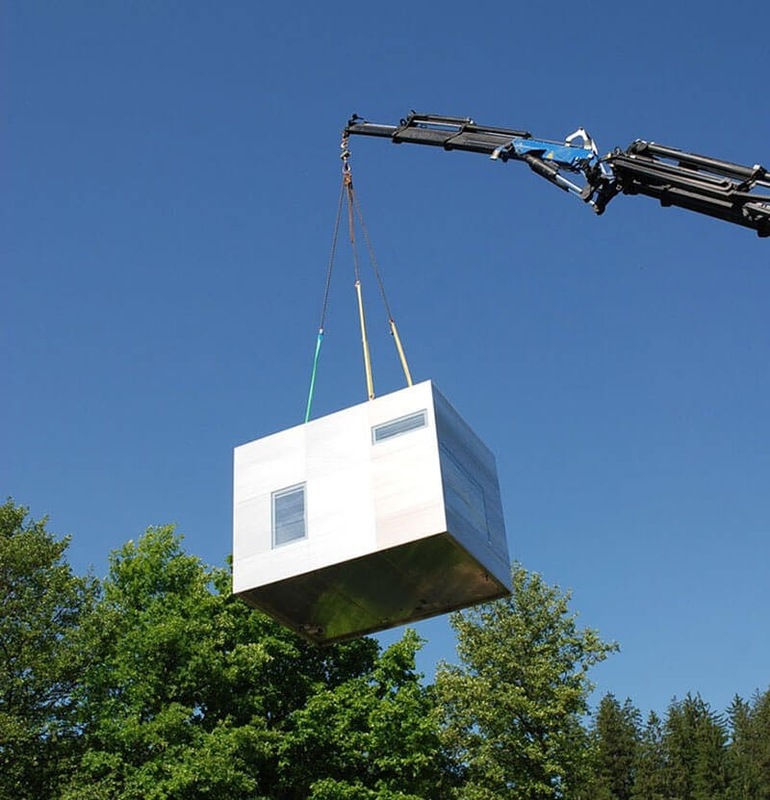 Prefabricated, low impact, sustainable and multi use habitation or work place. 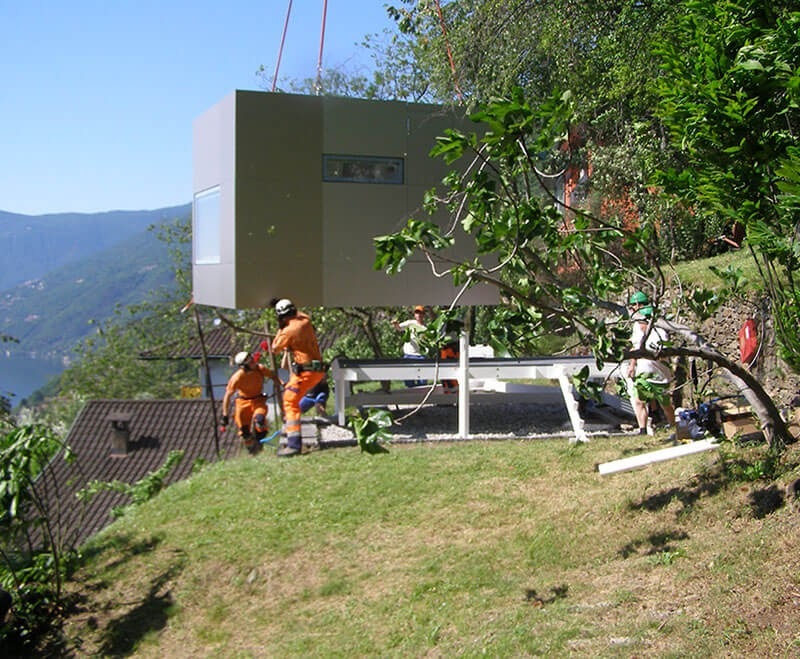 The Micro Compact Home (M-CH), measures 2.6m x 2.6m (8.5 x 8.5ft) by 2m (6.5ft) high, it can be bought as a single unit or as a lot. 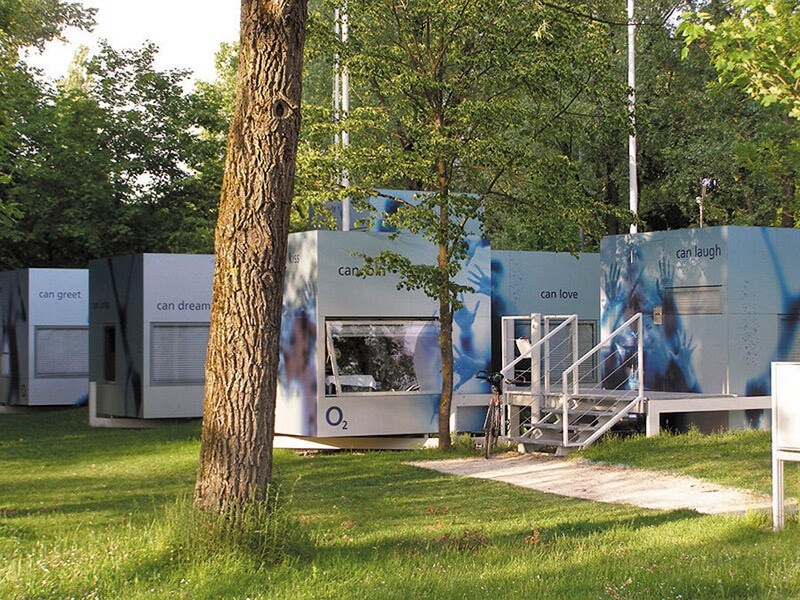 They can be stacked horizontally, or vertically and it can me be used for a variety of different functions: as a tiny house, student accommodation, like the O2 sponsored one shown below, studio, popup shop and whatever your imagination can think of. 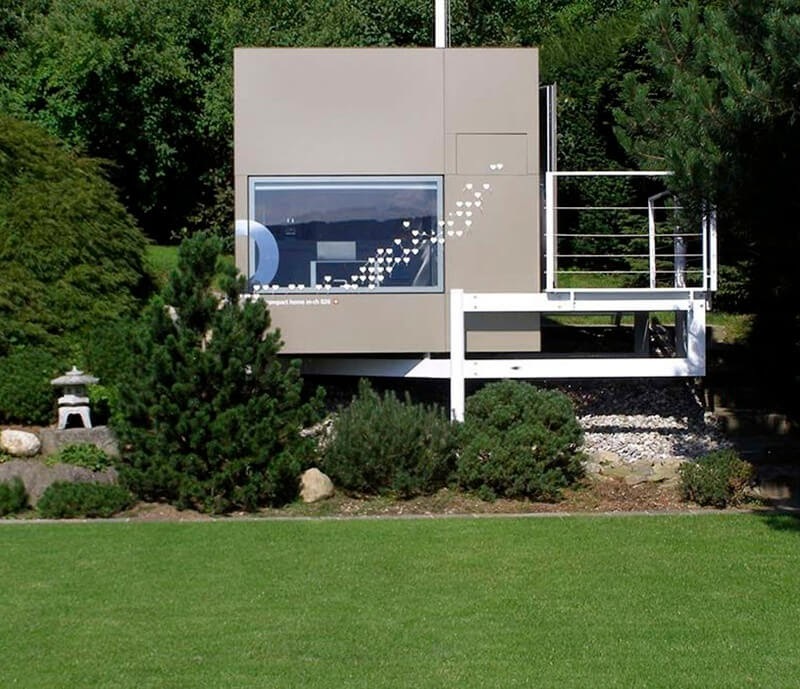 The price of the unit is €38,000 (about $43,000). 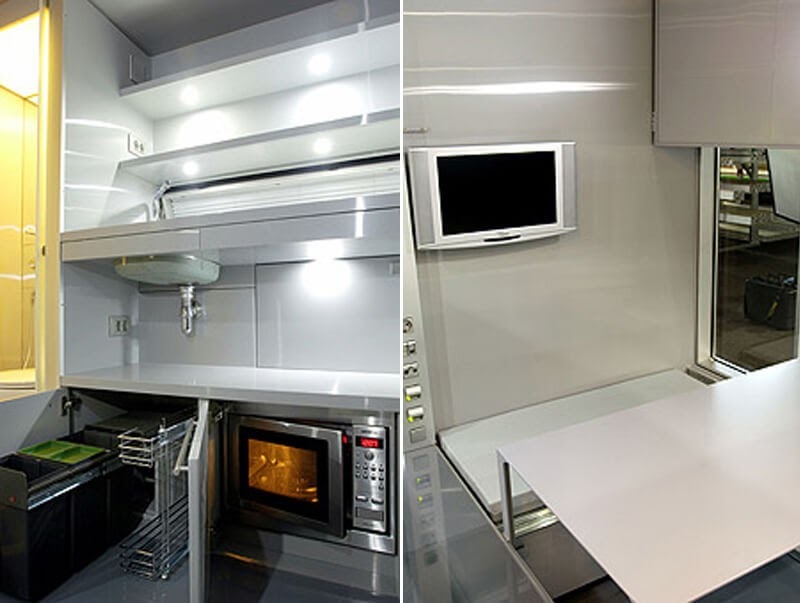 I included all of the specifications of the unit below, the setup is for as a home. Many of these pods have been placed all over the world for testing, so in time, we will find out what people think of them. 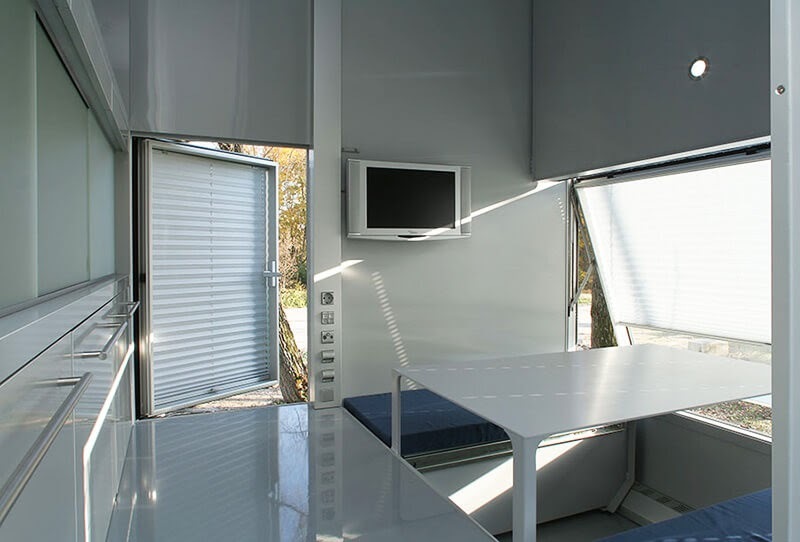 The Micro Compact Home has a timber frame structure, with anodised or polyester powder coated aluminium external cladding finishes, insulated with polyurethane foam and fitted with aluminium frame double glazed windows. The front door comes with a security double lock; graphics can be applied for sponsors, exhibition and business use. 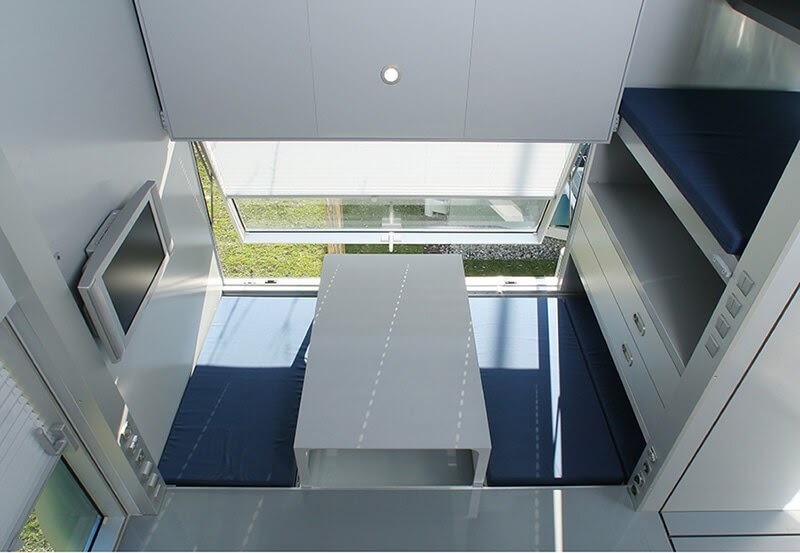 • Two double beds, each 1.98m x 1.07m. 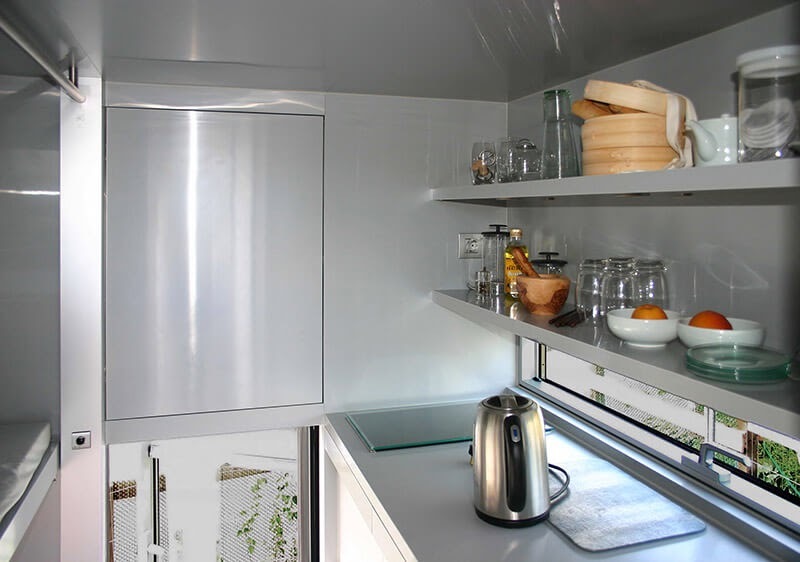 • Storage space for bedding and cleaning equipment. • Sliding table 1.05m x 0.65m, for approximately 5 people. 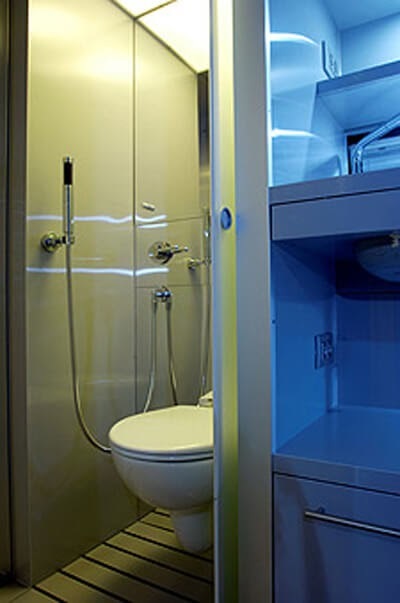 • Shower and toilet cubicle. 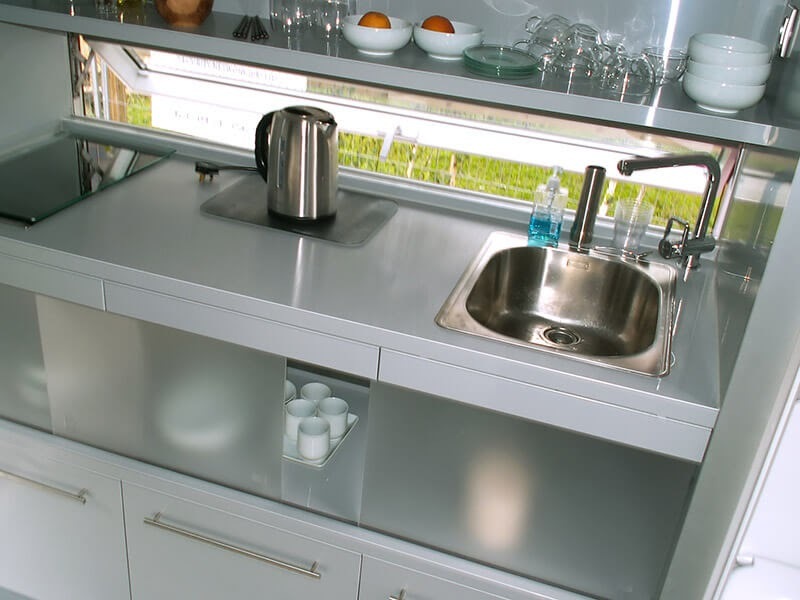 • Kitchen with electrical points, a double hob, sink and extending tap, microwave, fridge & freezer, 3 compartment waste unit, storage shelves, cutlery drawer and double level work surfaces. • Air conditioning, water heating, fire alarm and smoke detectors. • Thermostat controlled ducted warm air heating or electric under floor are available alternatives. 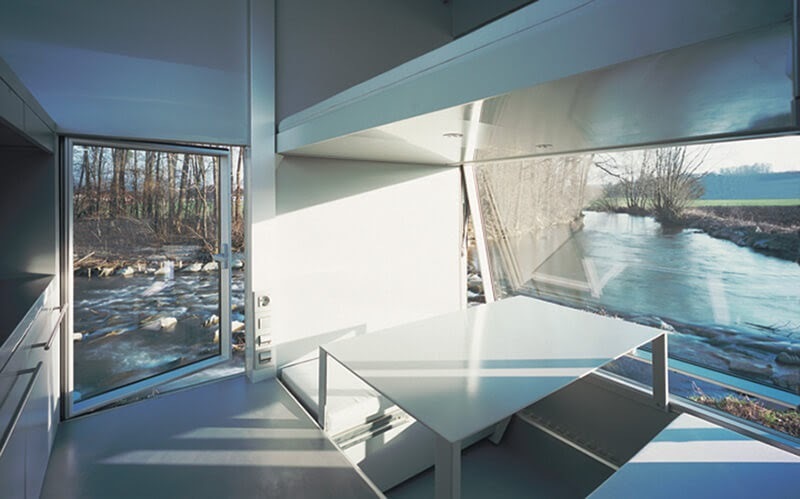 Studio at the end of the garden. 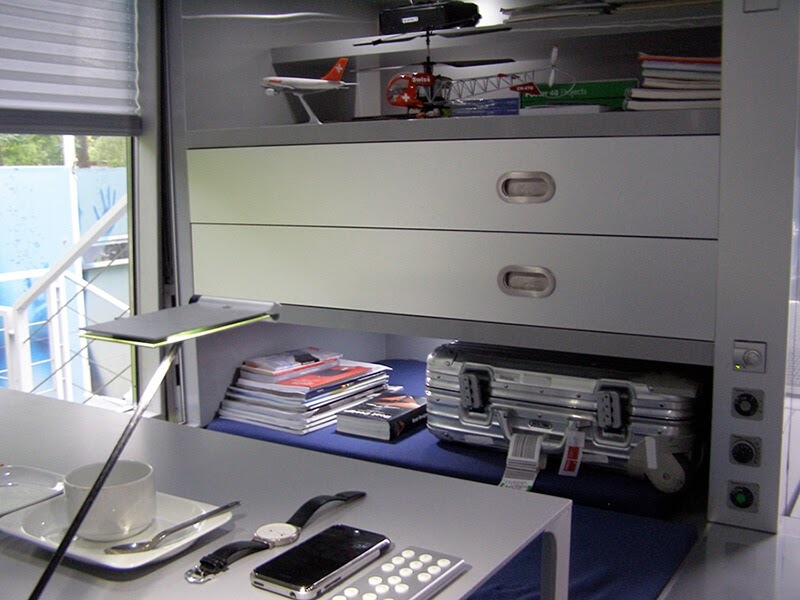 Work Area and Sleeping area above.